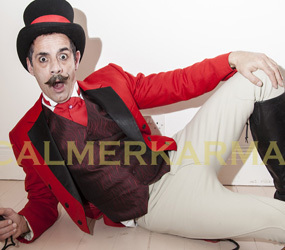 Parisian Can-Can themed entertainment including gorgeous high energy cancan dancers, outrageous Circus Ringmasters to meet and greet your guests, sword swallowers, live snake acts, drag queens, contortionists, accordion players dramatic acrobatic acts glamorous feather show girls and even feather readers.. Parisian Can-Can is a party theme which guarantees excitement, energy and glamour for every party, product launch or corporate event! 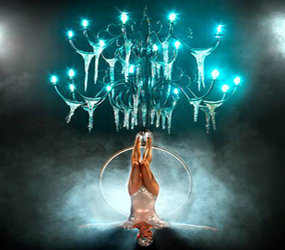 REVOLVING MIRROR BALL CONTORTION ACT ! 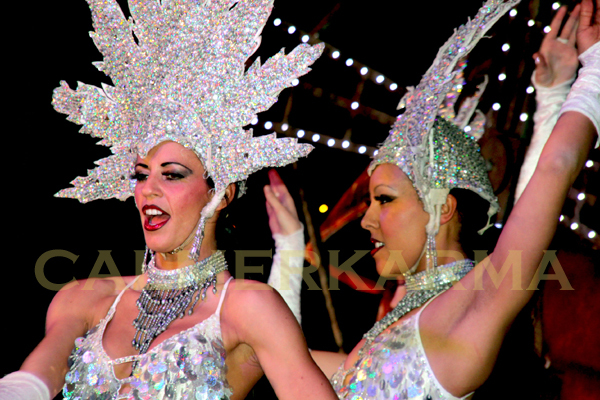 Gorgeous snake dancers with live snakes! 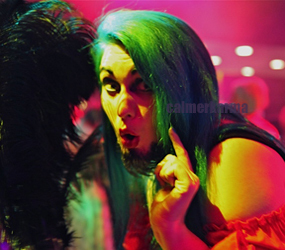 >Drag queens who can DJ, MC, mime or dance! 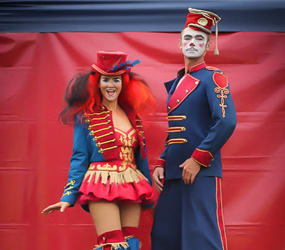 Stilts; Colourful ready costumed Parisian Burlesque bizarre characters on stilts including Bearded ladies, drag queens and cancan dancing stiltwalkers! 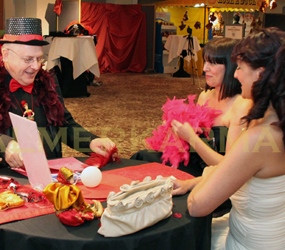 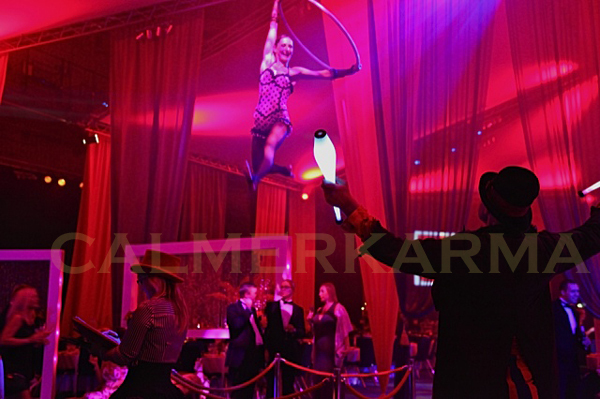 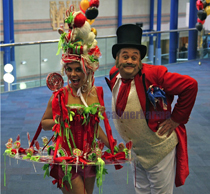 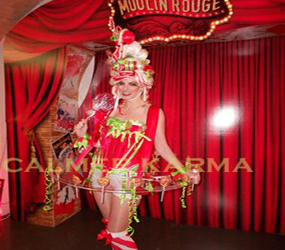 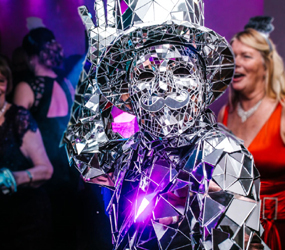 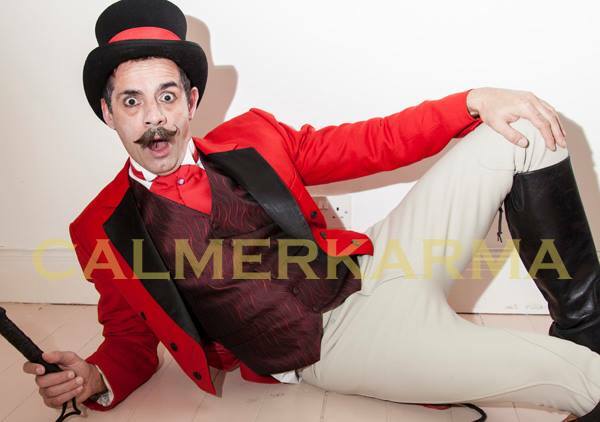 Calmer Karma are renowned in the corporate entertainment industry for their imagination, quality and attention to detail... the chameleons of corporate entertainment are always able to add an imaginative twist to your event!